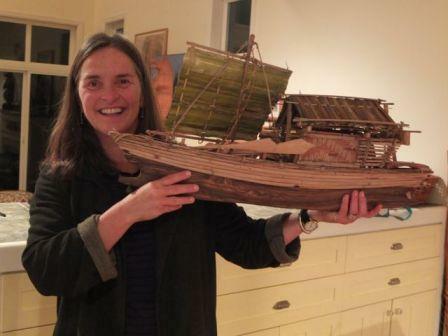 A hand crafted Moken boat travelled all the way to the USA this September! 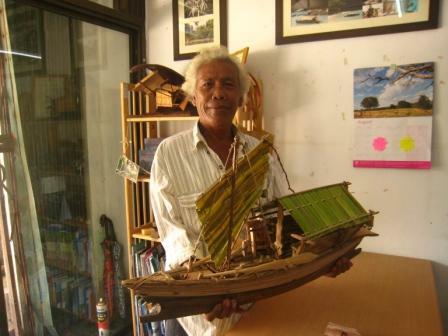 A family of guests who came on a Village Tour through Andaman Discoveries ordered it from Moken Village Headman, Salamah, who designs and crafts replicas of the Moken Kabang traditional houseboat. AD helped Salamah purchase hand tools so he could start this small income generation project and the boats are currently sold in our handicraft store and orders can be placed with staff. Below, are some really interesting details about the Moken Sea Nomads and the culture behind the Kabang boat. 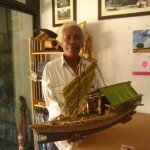 Traditionally, the Moken traveled to coastal and island areas in the Mergui Archipelago by their “kabang” (houseboat). It served both as a home and a way to travel from island to island. They would spend seven months fishing during the dry season and take refuge on land during the monsoon in coastal communities. One Moken village now resides on Koh Surin and has teamed up with Andaman Discoveries to create a community based Tourism Program that allows people to interactively learn about their culture and participate in activities. 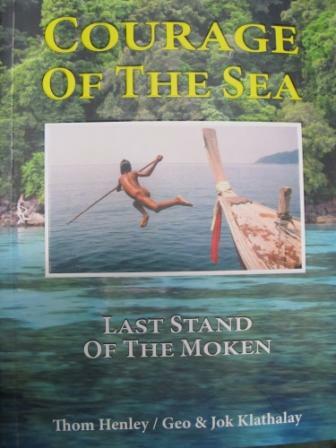 For more information on the Moken, check out the new book written by Thom Henley, listed below. The books can be purchased for 450 Baht through Andaman Discoveries. 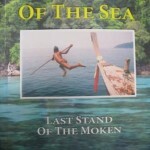 All proceeds go directly to the Moken fund on Koh Surin. With no words in their language for “want” or “worry,” the Moken indigenous peoples of the Andaman Sea present a paradigm shift in modern values. Yet, with their best basic human rights being curtailed, these “Sea Gypsies” do have real needs and concerns over a way of life now being imposed on them. Through this timely publication, the authors tell the story of a unique maritime people who may have more to teach us than we them. With stunning images and an engaging text, the story of the Moken comes to life here as never before. Another exciting recourse to look at is called “Project Moken.” Through film, interactive productions and eco-tourism, the production team worked towards creating awareness to help with a sustainable future for the Moken lifestyle. 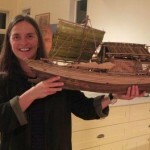 The project allows people to view the world through Moken eyes and understand the 3,500 year old culture. Please take a look at the website for more information on this project!